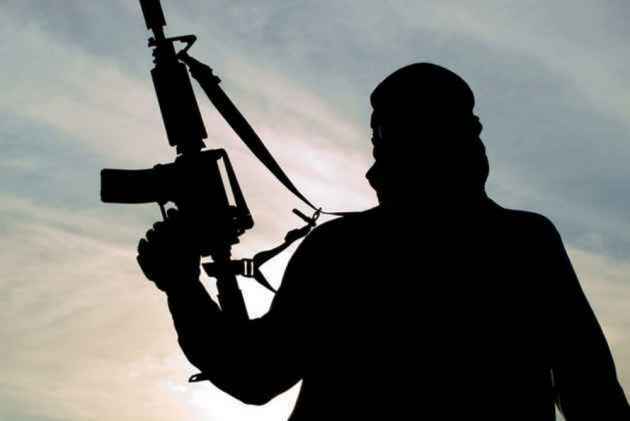 A Malayalam audio clip, claiming to be from the Islamic State, has surfaced calling for war against India and conducting lone-wolf terror attacks on crowds thronging Indian festival events like Kumbh Mela and Thirssur Pooram. The male voice in the 10-minute clip liberally quotes from the Quran with an authentic Arabic pronunciation. It claims that it is the 50th audio clip from Daulatul Islam. “You use your intellect. Poison them in food. Use trucks. Drive over them at Thirssur pooram or at Maha Kumbh Mela. IS Mujahideen are doing it in several parts of the world. In Las Vegas, one of our supporters killed many people at a music concert. At least you should try to derail a train. Or use a knife,” the clip said. In Las Vegas, A “lone wolf” gunman carried out America’s deadliest mass shooting in a meticulously planned attack at a festival crowd of 22,000. Police sources said the audio clip has been transmitted over Telegram Messenger from Afghanistan and its voice belongs to Rashid Abdullah, the leader of the Kasaragod IS module who left to join Islamic State in Afghanistan. He has been chargesheeted by NIA under IPC sections 120B r/w 125 and Unlawful Activities Prevention Act (UAPA) Sections 38,39 and 40. There has also been an Interpol red notice issued against him. The case against him came to light after his father filed a police complaint last year saying Rashid Abdullah, his wife and son were missing from Mumbai. The clip has surfaced at a time Kerala police have said that about 100 people from the state are suspected to have joined the Islamic State. Quoting sources, PTI had reported that the Kerala Police had collected evidence in this regard, including over 300 voice clips and messages from WhatsApp, Telegram messaging applications and other social media platforms. The clip in question says that Muslims should go for hijrah (migrate) from Darul Kufr (house of non-believers) to Darul Islam (house of believers). “If you are not able to do that despite your prayers and efforts, then you should financially support Daulatul Islam and Islamic State,” it says. According to sources, Rashid Abdulla's previous audio clips had only urged people to perform hijrah. However, in his 50th clip, he has changed his tone and has made an open call for attacks in India, which he has described as a country where "Hindus rule." “Many are trying to finish IS and khilafat. We have been reduced to nothing in many parts. But, Daultaul Islam is still active and we will fight until the last man,” the clip adds. Responding to the audio clip, former special director of cabinet secretariat, V Balachandran said, "This is very serious. They are going to take the battle to India from Europe and Middle East."